Frank wouldn't. And you shouldn't either. The anti-theft Frank's Way sign is on its way to our Etsy store. 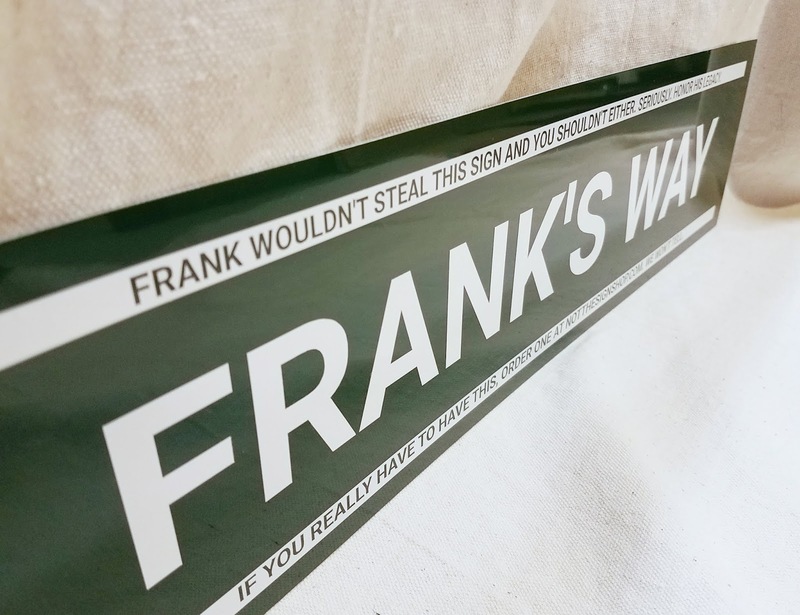 Those of you have have purchased any Frank's Way sign have probably purchased many other Frank's Way signs. They're mesmerizing theft candy. No matter the hardware used, they find their way off the sign post and disappear into the ether. This one applies a new balm to the theft epidemic - guilt: "Frank wouldn't steal this sign and you shouldn't either. Seriously. Honor his legacy. If you really have to have this, order one at NotTheSignShop.com. We won't tell."